Have you noticed the construction of a new Aldi Grocery store near Target in Vista, CA (1750 University Ave)? The grand opening date is this Thursday, May 19, 2016. The latest press release is below. 25 stores before July 2016. Additionally, by the end of 2016, ALDI will employ more than 1,100 people to work in its Southern California stores, as well as at the company’s regional headquarters and warehouse in Moreno Valley, Calif.
associates to earn up to $26 per hour. Store and warehouse employees will average 33-40 hours each week and will be eligible for full benefits, including health insurance, dental coverage and the opportunity to participate in the company’s 401(k) program with matching contributions. Since opening its first store in 1976, ALDI has achieved measured, but steady, growth and today, ALDI operates nearly 1,400 stores across 32 states and employs more than 19,000 people. 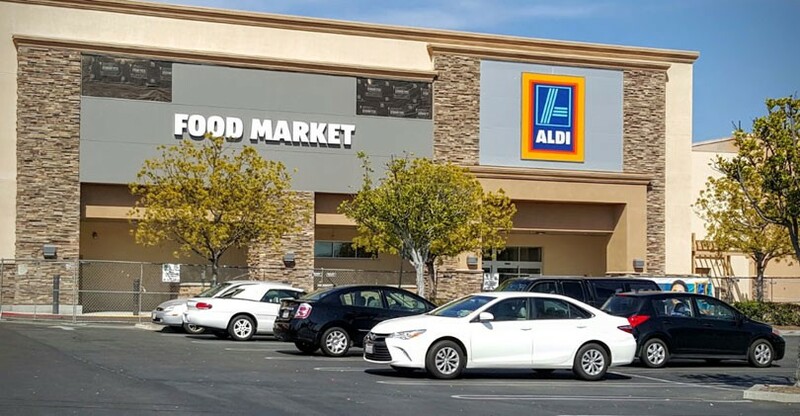 The ALDI expansion to California is an integral part of a five-year strategic plan to open 650 new stores across the nation. By the end of 2018, ALDI expects to operate nearly 2,000 stores, enabling ALDI to offer its fresh, high quality groceries at everyday low prices to more than 45 million customers each month. To support its expansion plan, ALDI will invest more than $3 billion to pay for land, facilities and equipment. To reach its aggressive expansion goals, ALDI will create more than 10,000 new jobs at its stores, warehouses and division offices from coast to coast. Growth is accelerating at ALDI due to the appeal of its unique business model that lets smart shoppers save up to 50 percent** on more than 1,300 of the most commonly purchased grocery items – offering on-trend products such as a variety of organic foods, including fruits, vegetables, and several products under its exclusive SimplyNature line, as well as its liveGfree™ exclusive brand of gluten-free foods – without the hassle of clipping coupons or buying in bulk. Volume purchasing: By concentrating its full buying power on 1,300 of the most commonly purchased grocery items in the most common size, ALDI secures sizable discounts. Exclusive brand products: More than 90 percent of products at ALDI are their own exclusive brands rather than national brands. In the ALDI Test Kitchen, ALDI ensures that its products meet or exceed the quality and taste of national name brands. All ALDI food products are backed by the Double Guarantee. If for any reason a customer is not 100 percent satisfied with any ALDI food product, ALDI will gladly replace the product AND refund the purchase price. Special Buys: Each week, ALDI offers 20-30 food and non-food products at a great value that include everything from small kitchen appliances and seasonal items to outdoor furniture and gardening tools. No hidden costs: ALDI has a streamlined approach that avoids non-essential services such as banking, pharmacies and check cashing. Those savings result in lower prices for consumers. “From the moment new customers walk through our doors, they know that, at ALDI, they are about to embark on a new shopping experience. When shoppers taste the fresh, quality foods at ALDI, and learn how our small differences directly impact their big savings at the register, they quickly become loyal shoppers. 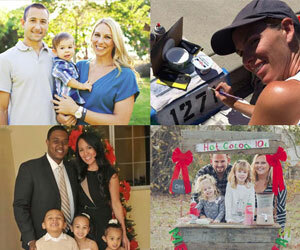 And, they tell their friends and family, which is the best endorsement we could receive,” added Hart. A leader in the grocery retailing industry, ALDI operates nearly 1,400 US stores in 32 states, primarily from Kansas to the East Coast. More than 30 million customers each month save up to 50 percent** on their grocery bills, benefiting from the ALDI simple and streamlined approach to retailing. ALDI sells more than 1,300 of the most frequently purchased grocery and household items, primarily under its exclusive brands, which must meet or exceed the national name brands on taste and quality. ALDI is so confident in the quality of its products, the company offers a Double Guarantee: If for any reason a customer is not 100 percent satisfied with any ALDI food product, ALDI will gladly replace the product and refund the purchase price. ALDI was named the 2014 Retailer of the Year by Store Brands Magazine for its strong commitment to value and innovation-focused private brand product development. For more information about ALDI, visit www.aldi.us.